With over 300 million active users, LinkedIn is the largest professional social media platform in the world. However, many companies and brands aren't using LinkedIn to its full potential. 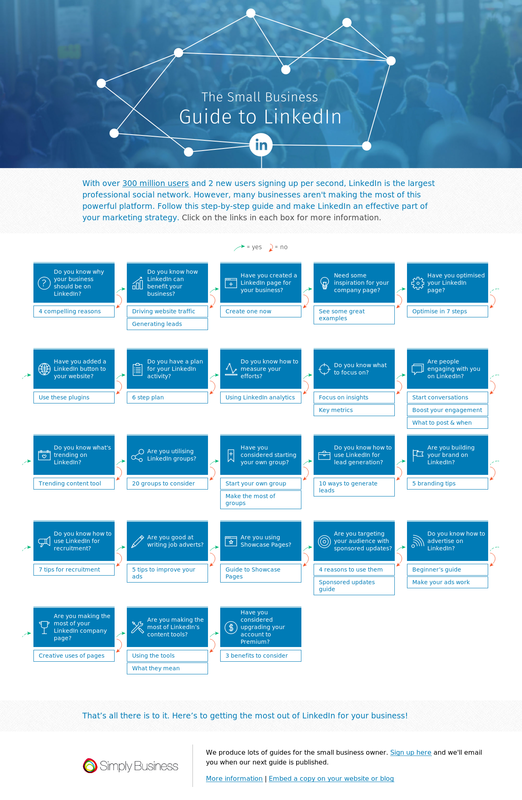 Follow this handy interactive guide created by simplybusiness and make LinkedIn an effective part of your social media marketing strategy. 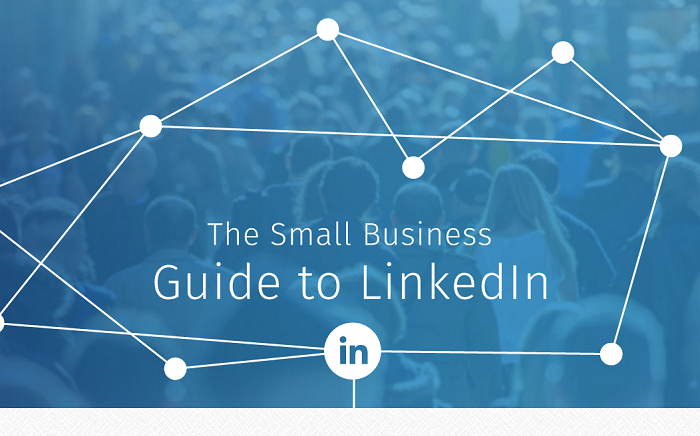 Do you know why your business should be on LinkedIn? Do you know how LinkedIn can benefit your business? Have you created a LinkedIn page for your business? Need some inspiration for your company page? Have you optimised your LinkedIn page? Have you added a LinkedIn button to your website? Do you have a plan for your LinkedIn activity? Do you know how to measure your efforts? Are people engaging with you on LinkedIn? Do you know what’s trending on LinkedIn? Are you utilising LinkedIn groups? Have you considered starting your own group? Do you know how to use LinkedIn for lead generation? Are you building your brand on LinkedIn? Do you know how to use LinkedIn for recruitment? Are you good at writing job adverts? Are you using Showcase Pages? Are you targeting your audience with sponsored updates? Are you making the most of LinkedIn’s content tools? Have you considered upgrading your account to Premium? 3 benefits to consider: socialmediaexaminer.com. Click here to view the interactive version of above infographic.